« The answer to most of your business’ problems is simply this: Be helpful. Great thoughts! Google Analytics (or related tools) is helpful in measuring ROI just most people don’t take it that far or don’t know how to. The other problem is that we often live in a day and age where instant is the name of the game. Instant impact is very easy with social media, instant results to the bottom line are a little harder & slower to generate (most of the time). Creating a huge viral buzz can happen over night, while the ROI from such a buzz can take much longer to see. So we often fall into the trap of measuring impact and forgetting ROI simply because impact is more immediate and more exciting. This is short-term thinking. As you noted in the video, social media ROI is about the long-term. Yes, we need to speak language CEO’s will understand, but there is some “old-fashioned truthtelling” that has to happen as well. Put it in a spreadsheet if you have to, but we must educate wherever possible that ROI comes from more than just sales or revenue generation. 1> How much $$$ did you save because a few bloggers uncovered a product defect that your engineers didn’t? 2> How much $$$ did you save in potential litigation because your PR team was able to neturalize a crisis using social media before it was writ large on page 1 of the Wall Street Journal? 3> How many fewer customers called in to your call center this quarter because they used your product wiki (or blog, forum, or whatever social media tool you use to pool crowdsourced knowledge) to solve a problem? How does that translate into $$$ saved? 4> How many more customer issues were resolved on Twitter this quarter vs. a year ago? How does that translate into $$$ saved? 5> How much money did you save because we had an internal social media infrastructure in place so that an idea sent in by a rank and file employee on the floor will rise to the top more efficiently? There are many more, but this is the typical top 5 I use in conversations about social media ROI. #5, by the way, is not hypothetical. I won’t name names, but one of the largest companies in the world had an employee send in an idea to remove a light bulb in place in all the vending machines in their company break rooms. Doesn’t sound like much, right? This company has over 1000 break rooms worldwide, and over 100,000 employees. Removing this light bulb saved the company $1.5 million in electricity costs the first year alone. If that’s not ROI, I don’t know what is. You hit an excellent point about the cost-saving aspect of R.O.I.- though these usually seem secondary to the “revenue generation” conversation. It’s almost like a bonus financial effect. Know what I mean? A sort of “Oh, and by the way, not only did we generate an additional $16M in sales this month, but we also saved you $3M in customer support for the same timeframe.” Unfortunate but true – unless you happen to be working within the org already as opposed to being an outsider (consultant, marketing firm, etc.). Really REALLY great point, Mike. Thanks a bunch for the comment. I’ll touch more on this soon. This post is full of win. The TLDR version: ROI is measured in dollars only. Dollars out, dollars in. No other metric counts except dollars. Another great post Olivier – my but you do have a way of cutting an issue to the chase. 😉 I am eagerly awaiting the “how” that you promised last week – I completely get ROI vs. impact, but how does one manage to prove/measure the connection between relationships built online and the resulting sales? Most of us are defaulting to impact because it’s a lot easier to measure, rather than because we don’t understand what ROI is, IMHO. Remember that time when you told me that I wrote the post you wish you had? Well, your turn to write the one I wish I’d written. What’s needling me about the ROI discussion is two-fold. One, we’re making it too complicated. It’s about dollars out, dollars in, just like you said. THAT is what ROI is. The second bit is that we’re laboring over ROI when what we’re really discussing is how to insure ourselves against failing in our social media efforts. We want ROI as a safety net to know that we’re not going to screw up. And the issue with that, of course, is there’s no such thing. Evaluate, strategize, execute, measure. Rinse, repeat. Impact matters, too. But ultimately – as you deftly point out – what matters is impact coupled with the very simple equation of whether you got out of it what you wanted, whatever you decide that is. Impact is going to be different for everyone, but there is no silver bullet answer. And impact needs to successfully move a company toward goals. This stuff takes work, and like any other business venture, needs to demonstrate results. I’m with Spaight . . . eagerly awaiting the “how”. Great observation and clarification, Olivier! The “Impact” effects of SM are important and desirable but they are not a “Return” in the true, original sense. I used to sell data platforms to mobile network operators and, even though a case could be made for our solution’s intangible effect on the operator’s image and relationship with its customers, the decision makers always required strong ROI calculations. Let me run something past you. It seems to me that SM could be said to be like key account management for B2C businesses (or even low value B2B businesses). I say this because a key account manager for a business that sells, for example, big ticket items to large corporates or governments (or even sells FMCG to retail multiples) needs to build strong, interactive, responsive, multi-level relationships within that key customer much like a good social media effort does (or should do) with the wider customer base generally. What do you think? Valid? IMO this is why most efforts at launching social media programs at companies fail. The person (internally or externally) sells the idea of social media to higher-ups in terms that THEY understand. They go into the office of their skeptical boss and tell them that the ROI on their efforts will be ‘the conversation’. Skeptical Boss rolls her eyes, and tells the marketing manager to get back to work. As you say, too many people present the ‘impact’ as being the ROI, without connecting the dots back to how the ‘impact’ actually impacts sales. 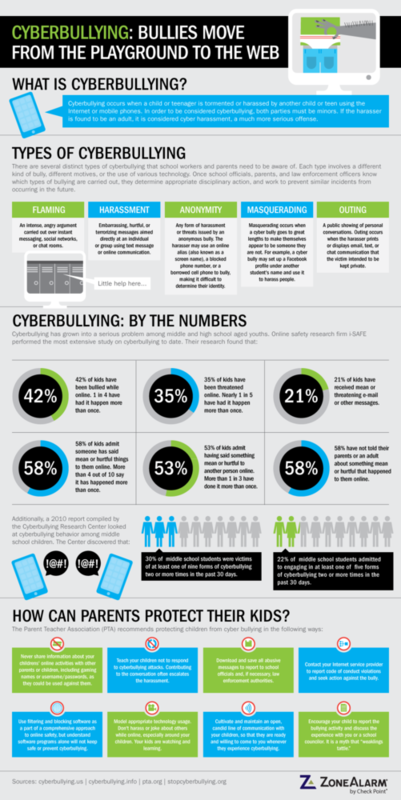 Social media leads to Y impact which leads to X sales. Most people can make that first connection, but not the second. BTW I do think you can talk in terms of impact IF everyone understands how the impact converts to sales. Good article and reminder on what’s important to the people that we are trying to get to commit to social media. Bingo. In a nutshell, that’s exactly it. And it is killing SM as a valid business tool/strategy/process. Ok after I left my comment of course Amber left a goodie so I have to followup. On the issue of ‘money in/money out’ in determining ROI, agree completely. However, I think many cos struggle with defining the ‘in’ part especially, because it can be tough to quantify exactly how much time is spent with social media. Or is the time personal or professional? What about the company blogger that loves blogs and Twitter, and goes home every night and spends an hour or two reading blogs and tweeting? Is that company time or personal time? I think all of this can be done, it just requires work and attention to detail. But on the flipside, I doubt Michael Dell is putting much pressure on Lionel Menchaca and Richard Binhammer and John Pope to show the ROI for their efforts. I think we need to consider where the people that we need the SM buy-in from are at, and show them the results that matter to them. Which I think is ultimately the point you were trying to make. Too few people put social media in terms that THEY understand, not in the terms that the people they are trying to connect with understand. And this is true for social media being used in the professional AND personal context, IMO. I think that you can look at the company blogger who goes home and blogs at night for a couple of hours could be considered “earned media” as this is something he is not necessarily obligated to do but rather inspired to do. It also seem to me that it is still easier to measure Social Media expense than its return. It is in tying Social Media efforts to Revenue while holding other variables a constant that will truly speak to the chief executives and show the bottom line impact. on May 27, 2009 at 11:14 | Reply Kris C.
But why would this type of marketing be different than any other type of product marketing for Microsoft, Nike, GE or wherever? With SM, you still push information/advertising OUT to some degree… but you get the added benefit of feedback about it coming IN, which can lead to a deeper bond with a customer than may have been available before. Who wouldn’t want that? Many mid and high-level managers a) don’t know how to measure ROI or b) don’t want to because it would make them accountable. For the latter, it’s an issue of laziness and professional responsibility. For the former, it’s just a lack of education, insight or experience. I went many years not knowing how to do it well – and none of the business veterans I went to for answers seemed to know how to distill ROI down to its simplest and most readily measurable form. I’m not sure why ROI (and methods like FRY, for that matter) aren’t more broadly understood. Kris, that is a key question/observation. You’re right. It shouldn’t be any different. The bottom line is the bottom line. Businesses exist to make money, to “transact.” If marketing activities aren’t furthering that end, those activities need to be examined closely (and probably eliminated). The gray area lies in the “furthering that end” part of the statement (and how that’s measured). Every company has a different idea about what helps them get revenue, from aggressive, direct sales forces at one end to image-enhancing mass media campaigns that barely mention the product at the other end, and everything in between. I think the beauty of SM marketing is that has the ability to occupy a great chunk of the territory between those two opposite ends. on May 27, 2009 at 12:23 Kris C.
Eric, I really liked what you had to say on one of Olivier’s other posts about “Cheers” and the restaurant example of how a good experience can lead to a one-time visit or possibly a regular, ongoing, never-ending customer relationship. What you said here in context of the different ways SM can bridge the gap between direct, aggressive sales and promoting a great “atmosphere” or experience made me think of that. This is brilliant! Finally someone is making sense! The biggest challenge i see in most companies is that no one can agree on what the “R” is that they want. Thanks for hammering the point that ROI is about financial return and not impact. I find ROI to be the most misused term in social media and public relations, and lame attempts to change the acronym (e.g. return on influence) to be just that. On clarification, ROI is about comparing the value created and the cost of creation. Although this usually leads one to focus on revenue (actually should be incremental profit contribution) generated, it is equally valid to consider dollars saved (e.g. employee retention goes up, don’t have to recruit new employees) or dollars avoided/not spent (e.g. defeat gov regulation that would have introduced structural costs). Also the singular focus on revenue generation, essentially marketing, misses the longer-term value created in brand and reputation. Here’s an overview (http://tiny.cc/XFbrL) of what I refer to as the Total Value of PR and/or social media which includes all elements. Nice post and very well said. You are now talking about something that is dear to my heart, as I spent a large part of my CRM years dealing with the difference between tangible and intangible benefits. You know, something that makes money vs something that makes us feel good. The only exception I have with your post, and I think you get it but don’t say it, is that it is not a smoke screen. We don’t have the tools that relate the blog readership to revenue increases, or the twitter solution for service to cost-avoidance elsewhere. Heck, forget the tools – I’d settle for the infrastructure. Just knowing that a certain customer visited us via twitter and later the call center, and asked a similar question, would allow us to relate the two interactions together and make some calculations that would yield an ROI. Alas, we don’t even have that ability. I am not making up excuses, I am saying that to move this forward we need to focus on the metrics and relating them to everything else we do in the enterprise. Chris Brogan made a similar comment in his blog today, but still offered no solution. Now, I know that identifying the metrics and the way to relate them to other data or metrics would change for every organization. I am not claiming that it will be easy, all I have to offer for now is a methodology and a framework and then we can work from there. But I do believe that this is the necessary next step to grow adoption of SM. Not necessarily claim that ROI can and should be calculated, but show what metrics to use for that. I am probably jumping ahead, since you mentioned before that you are going to write about that. But, in the last 2-3 months I have read so many posts about the ROI on SM (although you are so far the only one that makes sense from the real-world perspective) and no solutions. Want to advance this SM stuff? Let’s get off the soap box and start delivering case studies, calculations, and detailed analysis of the tangible benefits and how to calculate them. When we did that with CRM we started to get traction, again, into a more believable story. Thanks for the great series on ROI! I’m going to weigh in again on this. First of all ROI can also be measured in terms of cost savings, something that marketers seem to know very little about. But when IBM can sell more machines from a $500 podcast than it does with a $40K ad campaign, it doesn’ t take alot of fancy calculations to know there is ROI there. Back in the day, some poor slob had the duty of trying to convince his boss that there was good “ROI” in this thing called a telephone. And the boss probably said no, but the competition’s boss said yes. So the competition could probably calculated sale, or competitive advantage of something, and after awhile the numbers were so consistent, no one bothered to measure the effectiveness of their telephone systems any more. Then along came PBXs and they had to do it all over again, but this time the ROI was based on cost savings not sales. I think the same thing will happen with social media. For @comcastcares the ROI is in efficiency- It costs a hell of a lot less to fix my cable in 10 minutes via Twitter at 10 pm on a Friday night than it does to send out a crew. what’s the ROI of cutting turnover by 85% at Best Buy? they probably aren’t measuring sales, but rather they can calculate the cost of NOT having to hire and train all those bodies. The biggest challenge is that many of the people who have most firmly embraced social media have degrees in communications, journalism or PR — and never took a business course. “If we’d learn to speak the language of the CEO, we’d go along way to increasing our credibility.” Bingo. And our effectiveness as well. I routinely get blown off by agency folks for preaching this, but the fact remains that this lack of business savvy (business process empathy, even) is the Marketing world’s biggest flaw. (That, and denial – but that’s a whole other story.) Until Marketing folks start speaking the language of business, they will never be taken seriously, and their services will continue to be the first cuts on their clients’ budgets when things get rough. The differentiation between ROI and “impact” makes total sense. Is it prevalent for SM people to gloss over ROI? It seems so simple for any business that can ask where its customers and leads came from: pop customer/source/sales in the database tagged to “source = SM” and compare ROI with Direct Mail, Print Media, subdivide down to campaign, etc. I do wonder about retailers, etc. who can’t ask the simple “how did you find out about us” question, though. The 2-way communication aspect Kris C brought up seems relevant to me, too. Maybe that is R&D budget = killing 2 birds with one stone? Just asking the question. How true. However, there are so many other ways to become more efficient (which would probably be cheaper once you compute the number of repetitions) such as implementing automated tools. The point is that for the ROI for SM to be a good calculation, we cannot obviate things like lost opportunity costs. You want to talk business, that is the most often ignored calculation in ROI and the one that would actually justify the current proposal way more. If the case can be made that this solution will provide ROI – and better than other possibilities… well, that is a much easier conversation. Right? Just a thought to add to your great comment. There is a huge problem with ROI calculations: They are focused on incremental growth over short time periods. This may seem counter-intuitive in the fast-paced world of today, but it is now especially wise to look more than a couple of quarters out. Growth in a network occurs exponentially, not incrementally. The exponential function can take many iterations to play itself out (2*2 is not very impressive but 2*2*2*2*2*2*2*2*2*2*2*2*2*2*2= a very big number). It might take a while for something to catch hold in the market these days. It’s not like the old days when you put your ad on one of three network TV stations and everybody knew about your product. It can take months or years of so-and-so linking/sharing with so-and-so before enough so-and-sos become a lot of paying customers. Social marketing as a branding and marketing tool will not be quantified for a few years. It will take that long for the cream to rise to the top. Hurrah! Thank you so much for making these distinctions in such a clear, succinct way. Let’s hope the word gets out. GREAT post. I, too, just blogged on ROI although my angle was related to what is the purpose of social media. Listening? Promoting? Selling? Nobody ever asks, “What’s the ROI of focus groups and press releases?” For listening and promotion it should be IMPACT to your point. Some are using social media to drive sales and then you CAN measure ROI. I’m not a religious person, yet I say Amen to your post (and all posts of last week too). Who still doesn’t understand has probably not visited your blog nor followed you (or lots of your followers and their followers ……..) on twitter. I wish you all the best… (I was going to say good luck.. but this has nothing to do with luck, it is about commitment and endurance that WILL give your ROI)… in continuing addressing the ROI void, speaking, teaching and writing about it. And please do not forget to continue the search for the ROI on Social Media itself. I’ll be looking out for it with you. I had an online discussion yesterday with another social media maven from the west coast who insisted that my insistence on applying archaic metrics like ROI to social media activities meant that I just didn’t understand the “true” value of social media interaction. After several exchanges he acknowledged that maybe what he was missing was that the metric stays the same but the measuring tools would likely be different. And I’m ok with that. Having worked almost exclusively with finance oriented executives – from angel investors and VC’s funding startups to CEO’s running billion dollar operations – I can assert that every one of them insisted on seeing tangible and measurable ROI calculations in every project that they funded. It’s that simple. Accomplish one, or both, of those objectives and your social media project is actionable. Anything else is social media self-delusion. social media advocates face another communications challenge when pitching the concept of a social media plan: most CEO’s and CFO’s view marketing as an expense, not an investment. If it were an investment, they would be pouring money into marketing endeavors. After all, successful investments, by definition, produce more revenue than they consume. If every marketing project were able to prove that it generated $3 for every $1 of investment, the CEO wouldn’t be able to pump enough money into the project. 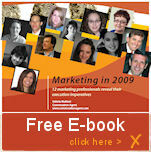 But too many marketing executives have no real idea what their efforts actually return to the company. The talk about impact, exposure, eyeballs, readership, click-throughs, and other easily measurable metrics, but fail to connect these activities with tangible revenue production. Without proof of revenue generation, you are an expense, not an investment. Olivier’s FRY methodology makes sense and is easy to communicate, but what’s missing is the difficult element of execution: tracking. How many new customers did your program generate? What was their average sale? How many times did they purchase? What was the cost of sale? Did my margins increase or decrease? By how much? If the social media proponents want respect (and a share of the company’s finite investment dollars), they need to think like business owners. Follow the money. That’s because most marketing departments don’t understand that they need to behave differently and prove their worth. It’s partly a Marketing management failure (for not knowing how to measure anything) and partly a business management failure (for not demanding better metrics). I didn’t mean to imply that tracking was difficult, but that execution overall is frequently more difficult for marketers than the creative process and strategic planning. But the most creative marketing program in the world produces nothing without carefully planned and monitored execution. Not tough, but frequently boring. At the risk of standing in for the 100-pound gorilla, I’m going to disagree with you and the commenters above me. You’re talking about business. The point of business is to make money. No argument there. But social media is about more than business. Government agencies are using social media, religious institutions are using social media, nonprofits are using social media. Unless I’m missing something, Olivier, there’s no financial incentive for the the White House to blog. Your argument is sound in the Fortune 1-million world. Your argument holds no weight anywhere else. You’re right, Ari. Social Media isn’t all for business. And to your point, the White House decided that it was going to use SM purely for communications and transparency. These posts are geared specifically to a) business, and b) business leaders who don’t understand what Social Media is, what it brings to the equation, etc. Back in the days we were doing CRM we had the same argument come up: ROI calculations for CRM don’t apply in the case of non-profits and governments, they are not going to be interested in CRM. Well, let me tell you. ROI is not only a financial calculation. The statement that Olivier makes applies, with different metrics and different costs-benefits calculations, to government and non-profit. I used to run ROI calculations for government entities, and we would use outreach, compliance, and satisfaction requirements to make our calculations. Same thing applies here. If you can save a non-profit some money by using a cheaper channel to keep up with its donors, they would certainly appreciate it (see Charity:water, Malaria No More, and others). Their goal, main reason to exist, is to get people to know their mission and to get money. As for government, there are so many compliance requirements at all levels (local, state, federal) they need to comply – they would be happy to take on something that would allow them to reduce their expenses and meet those needs. It is a question of making the financial discussion fit for other goals, but the same statements and truths apply. I would say, Ari, that even some of those entities you mention like charities, nonprofits, clubs and societies are often seeking a “transactional return” from their marketing (and, therefore, SM marketing) efforts. Those returns are often in the form of money, like donations, new membership fees, etc. Still, of course, as Olivier says, this discussion is essentially about business. Great post Olivier. I think another issue to point out is that oftentimes companies don’t know the value of their customers. The value of a customer goes far beyond the “sale.” If a company turns an angry customer into a happy one, how much is that worth? If a customer writes a negative post about a company that spreads to thousands of people, how much does that hurt the brand? I’m actually working on coming up with ideas that will help companies estimate and understand the value of their customers. Nobody has done the work yet, but of course there is a way to track and measure the value of every single action that takes place online. What Dell did was simple, they made their offers exclusive to social media platforms such as twitter. Want a computer? enter this TWITTER code and you can get 10% off, in that case the tracking becomes a piece of cake. That’s a great point. Burger King played with the idea (albeit in a very cynical way) earlier this year by challenging people to dump 5 Facebook friends in exchange for a free Whopper. Silly campaign, but the subtext – at least to me – was the value of relationships… relative to the value of a Whopper. It’s difficult to quantify the value of a customer along the length of their lifetime, and I don’t think that companies are looking that far into the future… but they should. Think about lifestyle brands like Apple and Harley Davidson and the impact of ONE rabid customer on their bottom-line over the course of say, 60 years of being a customer. Layer 1: What they buy. Layer 2: The other purchases they influenced (children, family members, friends). The second layer would be pretty tough to measure (though not impossible) but the first one wouldn’t be that difficult. By looking at annual or cyclical spend of a specific subset of customers, a company/brand CAN map out these customers’ spending over time AND understand where they could influence purchase decisions that could add to that number. That’s a very hot idea. I think you’re onto something, Jacob. the 2nd layer is what social media will really start allowing us to measure though! There should be some people out there dying to see stats on relationship metrics. 85% (or something like that) of jobs right now are referral right? bet there’s a similar high number in a lot of purchase categories too. Ari’s point brings up a big issue, in the end we have to determine what type of ROI we are seeking in terms of our initial goals. Even so, I think almost all can be measured as increase in revenue, or cost savings. I used to work in academia where I started blogging about Web development primarily to educate the campus Web maintainers about best practices in content, marketing, navigation, HTML, social media, etc. One of my goals was to provide them with the knowledge they needed to improve their own sites so they could better recruit students, fundraise, build event attendance, etc. So my goal was to help them reach their goals. Another goal for me was to free up some of the time I was spending answering customer service calls about how to do X or Y on the Web. By providing this information online, and promoting it via Facebook and other social media channels I created a place where people could get their own answers so that I didn’t have to write lengthy e-mails explaining things. This gave me more time to work on the Web sites I was building myself. Thus I became more productive and the university got more value from what they were paying me. The benefit to me was time-savings, but it was also effectively a cost-saving measure. The university wasn’t spending less because of the blog, but I was accomplishing more for the same cost. When we’re promoting our social media strategies, and the resulting returns sometimes we have to think carefully about how we frame what we’re trying to accomplish. If I state that my goal is to save time, it may not be a popular sell. But if instead I can show how we can increase productivity without increasing costs, that can be the type of ROI that management can understand and support. Again – Getting more done in the same time (for the same cost) is impact, not necessarily ROI. Higher productivity (not manufacturing) with a fixed cost doesn’t necessarily constitute ROI. Is it a benefit? Sure. But ROI? Debatable. Remember: For it to be ROI, you have to tie it back to a number. In manufacturing, going from producing 20 widgets per hour at a fixed labor cost of $15/hour to producing 30 widgets effectively reduces the cost of each widget. So yes, the cost savings constitutes ROI. Who would’ve anticipated the potential of Twitter, for example, two years ago? What will the SM landscape be like in two years from a technology point of view? Amen. Agree with you and Katie that definitions of ‘R’ and ‘I’ are all overt the place! This debate is nothing new for me…being a PR person, bottom line measurement is something we have been struggling with as an industry. Reason? Work load. Excuses. Math deficient! You said a key word in video…most people are looking for “easy” and a quick sell. Pretend money and results may work for my kidlette, but not my CMO and CFO. I talk in sales. How does influence impact the sales cycle then…wait for it…prove it! The tools to do so aren’t vanilla and this is why it is always said such relationships cannot be validated. Right on the money, Olivier. Well you stirred quite a conversation, I see. Good post. In fact, such a good post you stirred lots of commentary and comments. And, to Mack and you and others…thanks for the Dell call outs. I like to think about measuring business objectives (versus the debate about ROI which seems to send everyone down different rat holes). How does a social media “initiative” relate to a business objective….and then figure out how to measure it. Sure, it takes some thought and effort. But invest the time and effort to think that through …it can be done; it is real; and it can be measured. Hope that is of some value. I completely agree that ROI is a very small part of the equation – and probably not something the people actually engaging with customers should focus on. There are dozens if not hundreds of ways that engagement (via SM or not) can be measured, and the impact to a business or brand is a lot more complex and interesting than how it all relates to actual transactions. The purpose of these posts tough is to specifically address the issue of ROI – and clarify what ROI actually is. The other stuff (impact, outcomes, etc.) is pretty simple to grasp and measure. I would venture to say that most Social Media “experts” (if we can call them that) understand THAT element. How to attract eyeballs, how to measure clickthroughs, etc. They can easily track conversations, engage people on the web, collect information, draw traffic to a microsite, build relationships with customers… but they simply don’t understand R.O.I. in the sense that the C-suite guys understand it. And that’s bad. Richard, you work for a company that has figured this out. You know how to do it, you know what to measure and how AND you were the first major brand to actually use Twitter to generate revenue. To you and I, this isn’t rocket science anymore, but to the rest of the world, it still is. If you read the Wall Street Journal or the New York Times – or any number of business pubs and rags – these days, you can actually see the tide turning: Most business execs don’t believe that SM is a) a valuable investment, b) how it will improve their bottom-line and c) that anyone out there can actually measure true R.O.I. when it comes to Social Media. That includes Katie Payne, by the way – who may be very good at measuring digital impact but still talks about Google Analytics as a tool to measure the R.O.I. of SM. on May 28, 2009 at 17:41 | Reply Kris C.
Obviously, this is referring to using Twitter or something in a functional and not promotional way (in my mind) but how does this factor into the ROI as well? I would assume the way you use a tool like Twitter would determine it’s specific spot in a P&L? Thinking back to software companies where I worked, if we had Twitter then to use, the cost of customer service (and those people) would come from that department and not anything to do with marketing. Having worked in the software industry myself, I know exactly where you’re coming from with that question. Realistically, I am sure that way back when, when Toll Free numbers first came up as a new technology, business managers in charge of tight P&Ls laughed at the idea that THEY were going to have to start paying for people’s inbound calls. I can imagine the first reactions: “WHAAAAT?! And you expect that to come out of MY budget?” Yet here we are, 2009, and Toll Free numbers are the norm. on May 28, 2009 at 17:08 | Reply Kris C.
Reading the discussion between Richard at Dell and Olivier, I felt like a hand smacked me against the head. Is one of our problems, that this field of marketing is so new, we do not yet have adequate roles defined as to what “social media expertise” is or should be??? A lot of prospects are asking me to help them with social media. They see me tweeting, see my follower numbers, read my opinionated missives & reach out to me. They, and I, are not even quite sure what they want me to do (to be totally honest.) What they see is that for my own business, and in my own quirky way, what I do with Twitter and Tumblr and blogging, etc. is working for my business, and they would like me to help them do the same thing for theirs. That much, I can do… I can consult people and I’ve written posts on social media issues and how to engage people and the like, and through my services company we design and code blogs, tumblr’s, etc. and can add API hooks from all sorts of social platforms to your site. That is one ASPECT of social media expertise that I have, and if you want that, I’m your girl. And I do have some understanding of some things you could do to interact with people in all sorts of different ways, but I’m never going to apply a calculator to it. 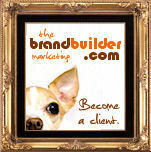 I just have ideas to offer based on marketing experience, observation and instinct. IF however, you need real corporate strategy tied to bottom-line revenue, ala the social media ROI issue Olivier is raising not just on this blog, but in the Industry of social media marketing, HE is your man. I could not do that for you, nor would I try and fake it (but I would give you his phone number if that’s what you needed.) He’s also your man for determining how and where and why and what it will take to extend your brand across multiple social channels, so obviously he’s not just a number cruncher though this conversation has certainly illuminated what’s been missing. My point is… we have marcom directors, product marketing folks, analytics experts, strategic marketing roles, channels roles, business analysts, user experience professionals, customer service managers, brand managers, creative directors, etc. in the marketing space now. For social media, only two “labels” come to mind: Community Manager (someone who deals with all the people) and this sort of vague “social media consulting expert guru person.” Maybe we have got to define the roles first, that people appropriately fit into, and then seek out those who can best help with what’s needed for a given company. If a large corporation wanted to hire me, there’s much I could do for them, but I’d bring Olivier or someone like him along who has the deeper understanding required to really make the effort all worthwhile. But what would we be called, aside from “consultants?” Where is the handy social media marketing roles taxonomy to put the right people in the right context for these jobs? Kris, I think you’ve highlighted something important. The marketing roles that you list have developed over time as the function and understanding of marketing as a discipline has evolved. SM marketing (SMM) is a relatively new concept (though I would argue that what sits at its heart, creating a good relationship with customers, has been central to the sales process from time immemorial) and we’ll have to see if different functional roles develop within SMM over time. The thing about SMM for me is that it is both it’s own discipline (within which specific roles may/will evolve) and a set of concepts and behaviors that can be (should be) utilised by those marketing people you listed above. I.e. channel mgrs, product marketing, etc will all benefit from applying SMM techniques in their areas specifically. on May 29, 2009 at 20:41 | Reply Are You Aiming at the Wrong Target? on May 30, 2009 at 03:18 | Reply PR and Corporate communications from above the chaos. It may be covered in the “how,” but I think, for some people who aren’t yet believers, the “tracking” is the issue. With a direct mail campaign, they can track, but how do you explain that by commenting (in a relevant way over time) on a prospect’s blog, for example, that this will lead to you being invited to submitting a proposal and ultimately winning the business? Comments left on a blog by an individual won’t necessarily turn into a transaction. The A to B to C motion of engagement resulting in transactions is not as linear. That is why tracking is simpler here. You don’t need to get bogged down with “tracking” each individual relationship from a quantitative perspective (unless you are equipped to do so and willing to do so – which is more of an enterprise space capability than an SMB or <10 year old company). You start with trending correlations based on activities, impact and sales – overlaid with visual timelines. The story is told in the deltas. You can actually watch the impact of what you do (assuming what you do has any impact) in the short and long term. Once you've isolated the deltas and categorized the impact (using FRY or some other similar methodology), you can extract the financial data and calculate your ROI. You see, I just finished a B2B social media pilot w/Microsoft (where, like you, I am a former employee) where we basically measured ROI using that methodology (though it wasn’t as formalized as the one you laid out). But, now (and I’m not looking for free sales advice here, so please don’t take it in that vein), I’m working with another potential client and this approach seems “too fuzzy” for him. Perhaps it’s because I haven’t explained it well enough, but the “correlation of activity to results” from a tracking perspective doesn’t feel concrete enough. Anyway, you’ve given me inspiration (as you often do) to try and drill down on the model and make it more client friendly. BTW, I have a B2C case study using F, R, Y that is great and I’d be honored to share it w/you (via email only, since it’s still draft), if you are interested (and since you were the inspiration there as well). Thanks for raising my game….and that offer of a beer still stands! Incidentally, I worked with Microsoft, not technically for Microsoft. Great discussion and good post Olivier. I’ve a strong business background and that’s why Axel Schultze @AxelS at the Social Media Academy attracted me with their approach which is totally in alignment with your “updated” thinking. Budgets, Resources & ROI – Dealing with social media budget issues. Group exercise: Craft a budget plan, an ROI calculation. In fact the Entrance Exam quizzes applicants on their business knowledge of ROI which addresses your video point about many SM consultants not knowing what the business use or term actually is. Great to hear that similar discussions are already taking place out there, Walter. Looking forward to more conversations with you. “Contribution Margin in currency generated from externally referred customers over cost in currency for human interaction and other cost to manage and engage in the ecosystem = Social Media ROI. With the “SOMA-Formula” for social media ROI we have US$ or “currency” on both sides of the equation. And guess what we have benefits from the investment for both: the business AND the customer community. Of course this is only possible if you know your ecosystem and if you did your “customer mapping” as we call it, but with the tools we have today this is easily possible. I agree with Esteban. Critic is the easy part. Construction is the hard part. Still looking for the “how”. Didn’t realize that so many people are confused about this- obviously ROI is something that is measurable. I disagree that they haven’t figured it out yet. They have, and the numbers are dismal, that’s why all the smoke and mirrors. Nice post. 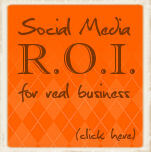 My question is: how is ROI is calculated for social media? It is being debated because no one has the answer and it is different for each company and their business objectives. We are talking about WOM, grassroots efforts often times where a direct “return” can not be quantified into dollars. How do you put a price tag on a relationship? If you are not a traditional sales funnel company, as Carol Kruse of Coke notes in the article below, then what determines true ROI? How do we approach this without setting a nasty precedent for marketers to come, just to fit into a preconceived notion of what ROI is? When we are talking branding … we have measurements in place — but how those translate to ROI is another story that I consider much harder to define. Kelly, ROI is always a financial metric. It doesn’t change or become something else for social media. ROI is simply a measure of money invested vs. money earned and/or saved. Period.